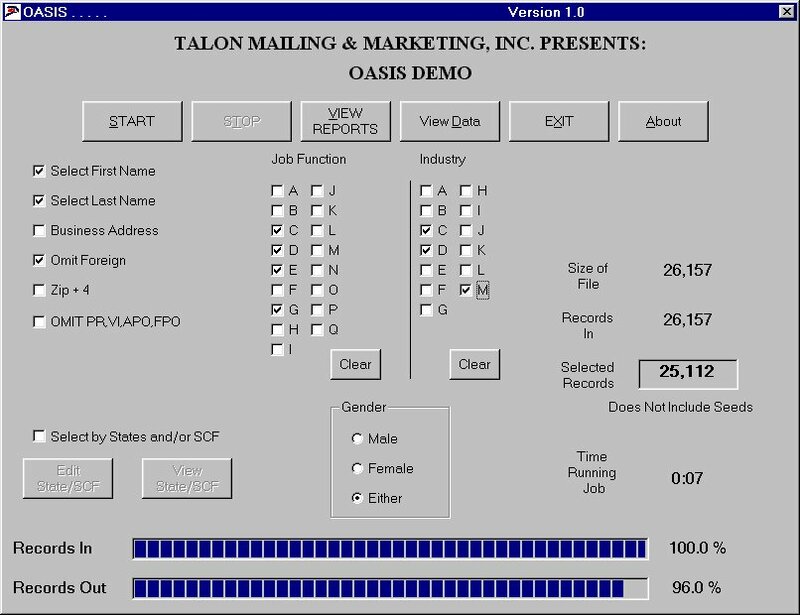 Welcome to the Talon Mailing & Marketing September 2011 Newsletter. The USPS had sought an increase of more than 4 percent on most postal rates. It appears the United States Postal Service has had a change of heart. After issuing a request to the Postal Regulatory Commission in July to raise postal rates in January 2012 over 4 percent (considered an exigent increase) to combat revenue loss due to economic conditions and the continual transition to digital, the USPS is no longer seeking the rate increase. 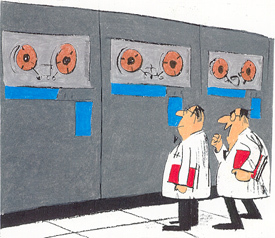 Postmaster General Pat Donahoe shared with the Mailers Technical Advisory Committee on August 17 the USPS would “pursue that case only to get the PRC to clarify its position on when such exigent rates increases are allowed”, according to anonymous blogger Dead Tree Edition. The rate hike would have been on top of the usual increases outlined by the Consumer Price Index. In preparation for the expected loss of $8 billion in the 2011 fiscal year, as well as to begin the process of eliminating 220,000 employees by 2015, the USPS began negotiations with the National Association of Letter Carriers today. Vegliante also says if the Postal Service was a private business, it would have already filed for bankruptcy and used the process to “restructure its labor agreements to reflect the new financial reality”. In 2006, mail volume topped at 213 billion pieces. In 2010, mail volume dropped 20 percent to 171 billion pieces. 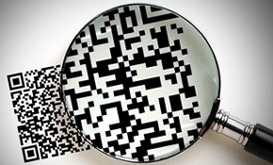 An estimated 14.5 million QR codes were scanned in June 2011. The worldwide mobile marketplace is expanding all the time, so there has never been a better time for marketers to look at how campaigns can benefit from the rise of smartphones and tablet devices. One immediate solution is to create B2B email marketing campaigns compatible with the mobile inbox, but there are also ways in which companies opting for a more traditional direct mail strategy can get involved. As most direct marketing practitioners will be aware, the most widely-accepted best-practice approach to modern B2B communications is to combine both print and digital elements wherever possible. And thanks to the emergence of quick response (QR) codes, it has arguably never been easier for businesses to design an altogether integrated campaign. Recent analysis from Gartner suggests that of the 400 million mobile consumers globally, more than a quarter now carry smartphones and increasingly use their device to scan QR codes and engage with brands online. This creates a superb opportunity for marketers using the direct mail channel, as the codes can very easily be included in mailings. Not to be confused with old-fashioned barcodes, QR codes are unique graphic stamps that, when 'scanned' by the camera on a mobile device, direct the user to a website or promotion relevant to the page they are looking at. As consumer awareness grows, QR codes increasingly appear on posters, magazine ads and point-of-sale material. 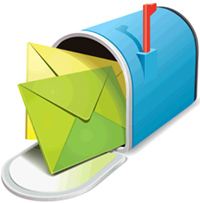 But one area where they may have a particularly useful application is with direct mail sent to prospective customers. "QR codes demonstrate just one of the ways in which mobile marketing can effectively be integrated into existing media and marketing campaigns to help reach desired consumer segments," said Mark Donovan, comScore's Senior Vice President of Mobile recently. He added: "For marketers, understanding which consumer segments scan QR codes, the source and location of these scans, and the resulting information delivered, is crucial in developing and deploying campaigns that successfully utilize QR codes to further brand engagement." Anyone still skeptical of the relatively new technology need only look at the mountain of evidence to suggest that it really is worthy of the hype. The latest US statistics, published by comScore in August, have shown that an estimated 14.5 million QR codes were scanned in June 2011. Almost two-thirds of people who interacted with the codes were found to be male, with 53 per cent in the 18 to 34-year-old age group. Interestingly, more than a third belonged to the 'over $100,000' income bracket, representing a demographic for B2B direct mail senders targeting top-level decision makers. Furthermore, a recent GI Insight report claimed that direct mail was responsible for leading more prospective clients to companies' websites than any other form of advertising or communication. Researchers found that some 47 per cent of consumers were, more often than not, prompted to visit a firm's website after receiving something in the mail. When asked which medium they would be most likely to take action on, 34 per cent chose direct mail, while 33 per cent said email. "These findings clearly demonstrate that direct mail is still an extremely powerful tool, even in the digital age, and plays a pivotal role in any business' efforts to contact consumers," said Andy Wood, managing director of GI Insight. They also clearly highlight the fact that non-digital channels are more than capable of generating leads and boosting brand engagement in the digital environment. While printing the website's URL is usually enough to encourage a response, including a QR code simply streamlines the process of getting prospects to the right place, reducing the risk of losing people along the way. And this can only be good news for marketers looking to make a sale. The US Postal Service has encouraged thousands of new businesses into using the mail for local advertising campaigns over the summer, with its new simplified address service. Every Door Direct Mail, as the service is called, was launched back in April, offering businesses an easier way to mail items to every doorstep in a given area, without having to get hold of specific addresses for individual households. USPS has already been running thousands of events over the summer to raise awareness about the new service among small businesses, and is also set to run direct mail campaigns targeting both small and large businesses. So far, the service has averaged more than 45,000 visits each month to its online tool, which allows users to simply select an area on a map in order to obtain numbers of households in targeted delivery routes. Last week, the Postal Service revealed new figures stating that 12,097 customers have registered to use the new service through post offices. There have been 9,292 retail transactions adding 7.1 million pieces of mail into the mailstream, according to USPS saturation mail manager Dave Mastervich, who said the average size of a mailing was 1,849 pieces, which could cover about four delivery routes. “Businesses are getting back to the way it used to be – marketing to households in their local area,” said Mastervich, who said the late spring launch of the service lawn care service companies were among the big users of EDDM. Although there have been suspicions over the summer that the EDDM service has been effectively poaching customers already using USPS saturation mail services, Mastervich insisted that 98% of those on the retail side of the service were new customers. 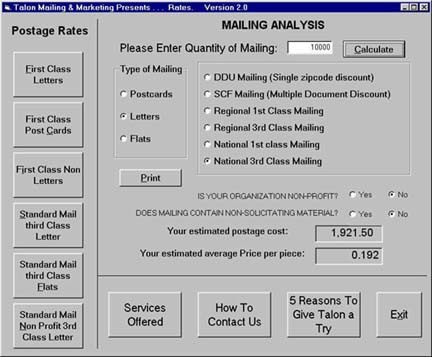 The EDDM service also has a separate option for bulk mailers who input mail directly at a USPS Bulk Mail Entry Unit, which allows larger mailers to make use of the simplified addressing. Mastervich said that while overall saturation mail volumes declined between April and July by 0.7% compared to the same period last year, for those mailers taking part in the EDDM bulk mail service, their mail volumes grew by 6.2%. Alongside the EDDM service, the Postal Service has also launched a pilot initiative to offer help for small businesses who want to use direct mail to promote their goods and services. The Direct Mail Hub offers a platform that can both educate small businesses about direct mail and also help them generate campaigns from start to finish. The service is currently being piloted in Austin, Texas, and in the Raleigh-Durham area of North Carolina. Small businesses are offered easy tools to create their own direct mail campaign through an end-to-end system available online. Florida-based DirectMail2Go is providing the online “do it yourself” tools that include templates, mailing lists, printing, postage and mailing. Tom Foti, the USPS manager of marketing mail, said the Direct Mail Hub followed up research from a year and a half ago in which USPS found that many small businesses knew little about direct mail and its benefits in reaching local customers. “They weren’t aware of the effectiveness of direct mail, and they never really thought about how it works and how it can help them,” said Foti, who added that perceptions of direct mail was that it involved a complex process in terms of getting hold of address lists and preparing mail. “With the Direct Mail Hub we created a solution to do all that for small businesses,” he explained. Tuesday September 20th, 2011. Yankees vs. Rays 7:05 PM. SpamArrest.com - Uses challenge-response technology to block spam from clogging your Inbox. There is no software to install. Use Outlook or your favorite email program. Patch.com - your source for local knowledge you can't live without. MarketingProfs.com - Source for online marketing resources, marketing articles, online seminars, case studies, conferences and events for Marketing Professionals. Anyclip.com - Any Moment, from Any Film. Search for Movies, Actors, or Directors. Pictorymag.com - An online photojournalism magazine that documents love, loss, family, travel, and our lives and culture in big pictures. Anyone can submit a photo story to one of their social documentary themes. The site curates the best work from the community into polished photo essays. "Leonard, we have over 50-million names in there and we can send them anything!" Do you need to boost sales? Talon can help! Call Michael Borkan at 631-667-5500 x 11 to learn how to increase revenue.